Buy Art artists team up with Red Bull and Mystic Urchin’s Brand New Machine to present INSURRECTION: an act of rising in resistance against the establishment. INSURRECTION is a pARTy designed to get ART up off the wall. Drinks (and ART) on sale! This summer, Art is unpredictable, edgy and definitely worth watching, so tickle your eyeballs with visual candy from Stefan Clarke, Phillip Clayton, John Campbell, Kevon Archer, Audrey Lynch and Siim; dub beats from DJ Winchester and friends. 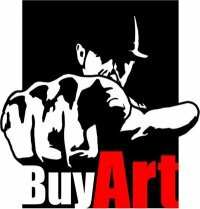 The Buy Art Campaign is an awareness initiative and Art (pARTy) series produced by The Higher Intelligence Agency (HIA) as an aggressive viral campaign to activate a social movement based on the need to support the arts, foster aspiration and create incentives for art ownership. The objective is also to enable artists to get involved in their own promotion and to encourage people to Buy Art. The pARTies are intended to get people to interact more with Art, leaving the pARTy with a sense of fulfillment and connection [with Art and each other]. the agency operations are bonafide. As it’s a first date, make small talk. added I receive four emails with the same comment. There has to be a way you can remove me from that service?